Are you planning on going to Machu Picchu in Peru? If yes, please read it! This is particularly important for those of you who are about to go to these famous ruins by bus, as a part of group tours. Until now, I have been refraining from the firm statements in this regard. Nevertheless, as it often happens in my case, someone finally inspired me and the article came into existence. What should you expect from my article? My observations with regard to group tours to Machu Picchu by bus, and why in my opinion is it better to avoid them. In the end, it is your decision when it comes to choosing the proper form of reaching Machu Picchu. Interestingly, your overall satisfaction from visiting the ruins will mostly depend on the way you get into them. Machu Picchu can be reached in many ways. I wrote about the most popular ones . The choice is very important, because the trip or transportation option you buy will determine how much time you will have to get to know these beautiful ruins as well as the surrounding area. In general, for many of us, traveling around the world is quite expensive. That is why, we tend to look for the cheapest solutions during our trips. There is nothing wrong about that, it is completely normal! Sometimes such travel savings pay off and sometimes not really. Instead of gain, we lose: time and the possibility to enjoy all the attractions. In my opinion, the art of cheap travel involves knowing not only how to spend less money, but above all to know where making savings make the most sense. How the above links to choosing the best Machu Picchu tour? Let me tell you a story. Recently, I had a pleasure to meet up with two friendly Poles, Kasia and Jacek. It is all thanks to the conversation with them that this article was created. They actually made me feel sad, because they did not have particularly positive impressions after the trip to Machu Picchu. They are not the first ones who, to put it nicely, had mixed feelings about visiting the ruins. 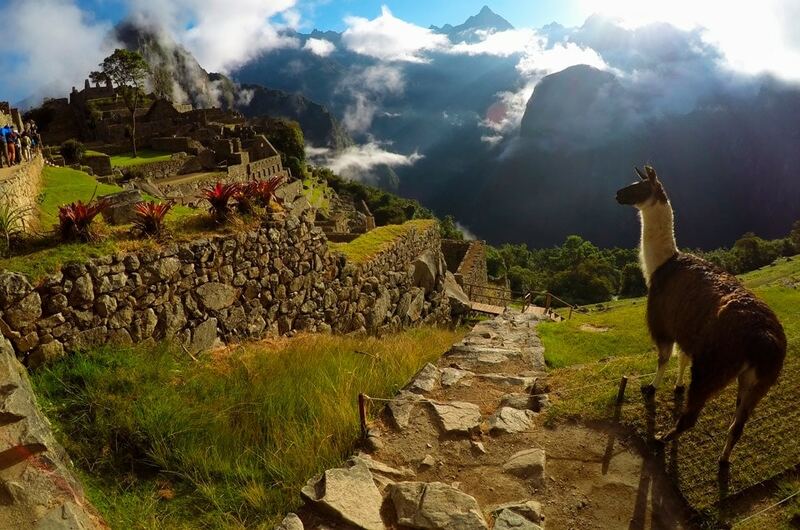 The vast majority of visitors in Peru dream of seeing Machu Picchu. This is often the main reason for coming to this country. I am not surprised, because after all, the Inca city, located at 2400 masl is definitely impressive and worth a visit. The problem, however, is that sometimes you do not get a chance to enjoy its beauty to the fullest. This is mainly due to choosing the wrong transportation option and insufficient planning in terms of exploring the ruins. Believe me, the decision in this field is very important and will affect your satisfaction level to the great extent. My newly acquainted friends bought a two-day bus trip to Machu Picchu in Cusco. An extremely tempting price of just $ 95 per person. The expedition included tickets to Machu Picchu; 1 night’s accommodation; Shuttle bus from Cusco to Hydroelectrica on day one and back the next day. The night turned out to be a nightmare. There was no hot water, toilet was broken and the room was untidy. There was very little time to visit Machu Picchu. In general, participants of the tour feared that they would not see anything because the ruins were covered in clouds and it was not clear whether the situation would ever change. Tour participants were always in a rush and had no time to enjoy the ruins at their own pace. There were problems among participants with motion sickness, due to the multi-hour drive from Cusco to Hydroelectrica and back. The above comments are nothing new to me. Many times, I have heard similar stories and that is why I will never decide myself to choose this kind of trip when visiting Machu Picchu. Generally, I do not recommend choosing this type of option when visiting the Inca ruins. 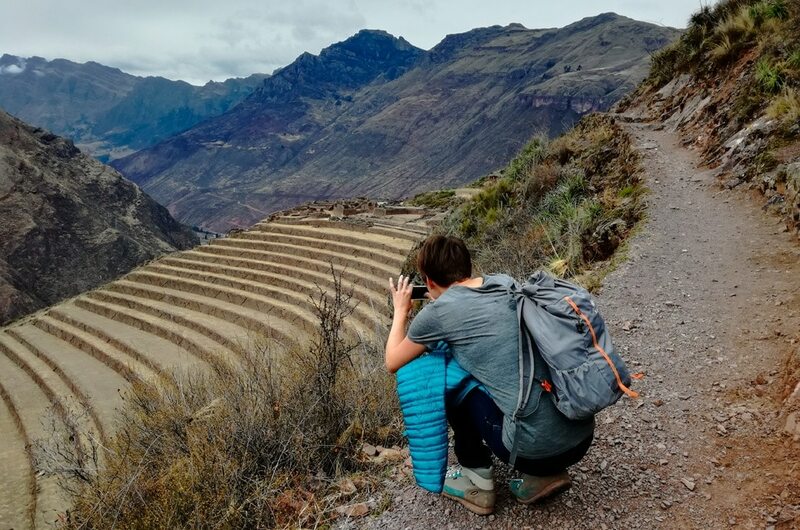 For me, it is just a torture that does not have much to do with delight and satisfaction connected with discovering the most beautiful site in the region of Cusco. Now, let me explain you everything in detail, so that you have a big picture about the infamous bus tour to Machu Picchu. What is the standard group bus tour to Machu Picchu? In the early morning, the tourists gather in the specific place or the driver picks everybody up from their individual hostels. For those who like to do everything on time, note it may take even couple of hours before everybody is picked up (depends on the size of the group) .The loaded vehicle has to travel a lot of kilometers, including a pass at an altitude of 4320 m.a.s.l. In between, the main attraction will be the turns – dozens of them. Those who have problems with motion disease will be extremely tired afterwards. Personally, even though I do not have these types of problems, as I go through this route, I am almost dying. I want to vomit, my head aches. In general, it is nothing pleasant. The views are beautiful but in many cases, you have not enough physical strength to admire them. These are the attractions of traveling around the Andes (especially during the first days of your trip). Once you have survived couple of hours of a bus ride, you will take a short, 2.5-hour trek in a high jungle. This is the most pleasant part of the entire trip on the day one. Everyone will have time to stretch his bones, admire the nature and enjoy a hot climate. The day ends in Aguas Calientes, just at the foot of Machu Picchu. 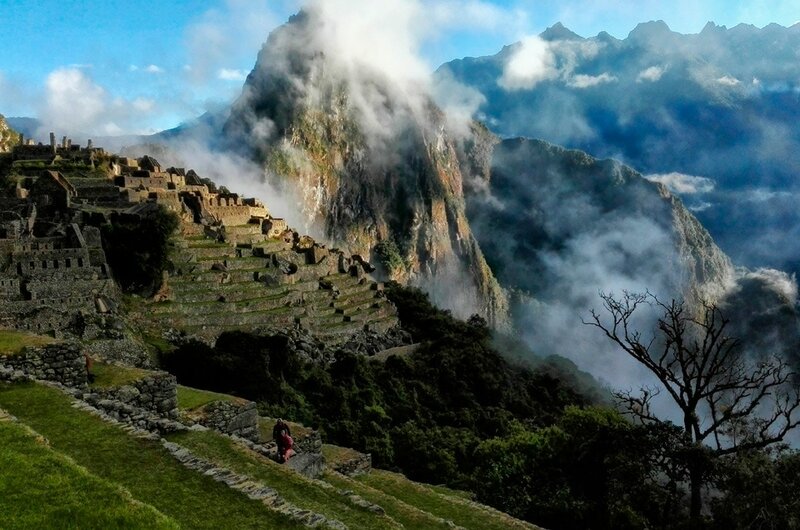 To take advantage of a couple of hours spent on Machu Picchu you should get up early in the morning, around 4 am. Option number 2 is a bus, but here I recommend you to be the first one at the bus stop in order to have enough time to enjoy the ruins. Anyways, you will always feel you are in a rush while visiting the ruins. 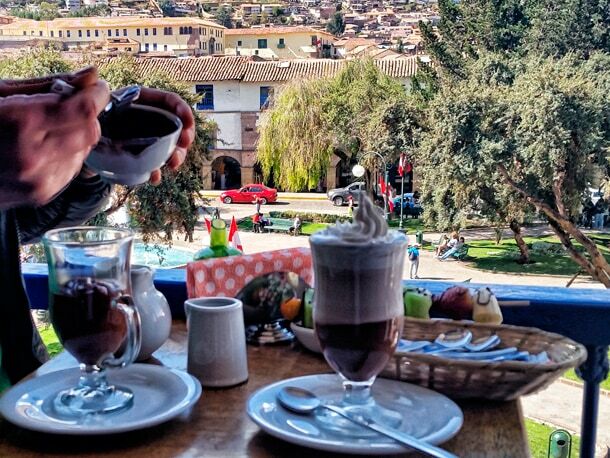 In my opinion, it takes almost a whole day to get to know the Inca city. In this case, you will not be able to see everything, but at least you will have a chance to see the ruins from several sides and admire breathtaking views. Besides, there will be a chance to enter one of the extra peaks: Huayna Picchu or Montaña vieja – expect astonishing views. It is worth getting tired and making to the top of one of those mountains. There are also other light trekking routes around Machu Picchu. Anyways, forget about them when taking a 2-day bus ride. It is just impossible. It is all because the latest about noon you need to leave the ruins and go down to Aguas Calientes, which takes around 30 minutes to one hour depending on whether you take a bus or go by foot. Then you need another 2,5 hours to walk from Aguas Calientes to Hidroelectrica. After this, expect another 7,5-8,5 hours bus ride to Cusco. Sounds quite exhausting, don’t you think? Personally, beyond the price, I cannot see any positive sides of the two-day trip to Machu Picchu by bus. Lack of time for light trekking in the ruins as well as getting to the top of one of the mountains: Machu Picchu or Huayna Picchu. Fatigue and extreme exhaustion after spending so many hours in a bus. What is your opinion about seeing the famous Inca ruins this way? Before you decide to take a trip to Machu Picchu, consider whether by saving money, you are exposing yourself to loosing something else. By that, I mean losing the opportunity to see Machu Picchu the way you want and at your beloved pace.